Crabtree Valley Dental was founded by Dr. Matthew Wirick. This practice is a culmination of his vision to care for his patients as a whole, not just their dental needs. Since the 1990s, Dr. Wirick has operated two dental practices where he served the community by caring for patients from all backgrounds and walks of life. He hosted Dentistry From the Heart, which provided free dental care for patients who don’t have insurance or means to access quality dentistry. These experiences led Dr. Wirick to his ultimate design for a business with a greater purpose. Dr. Wirick and his team at Crabtree Valley Dental welcome you and your family. Dr. Wirick graduated in 1996 from The Ohio State University. 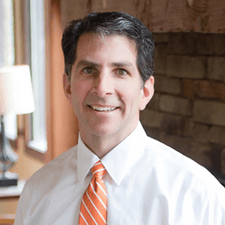 He moved to North Carolina in 1998 to begin his dental career and is a member of the American Dental Association, the North Carolina Dental Society, The Scheduling Institute, DDS Financial and Dentistry from the Heart. “I enjoy spending time with my wife and 4 children, reading dental, business, and spiritual books. My favorite books are The Servant, E- Myth, Good to Great, God is my CEO, The Shack, Heaven is for Real, Same Kind of Different as Me, How to Know God, The Circle Maker, 5 Love Languages( Every couple must read it- a true relationship changer). My passion is to run an exceptional business that is very patient centric. Servant Leadership is my true passion and I love finding new ways to go above and beyond for our patients and staff. 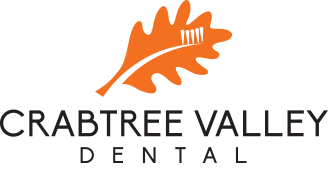 I sold both of my other dental offices to focus on Crabtree Valley Dental and am genuinely honored to have helped so many people with limited means. I have truly enjoyed my mid-life sabbatical to focus on mind, body and spirit. In the summer of 2014 I focused on my Faith and my relationship with my Family. The following fall was equally incredible during my journey to have and run an exceptional dental business. They all lead to Servant Leadership. Dr. Wirick is accepting new patient now. Please call us at 919-985-7300 today.